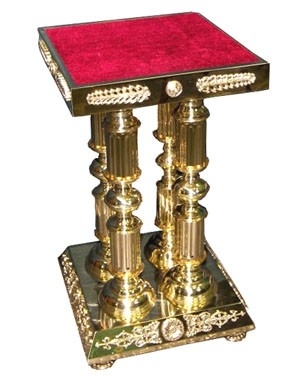 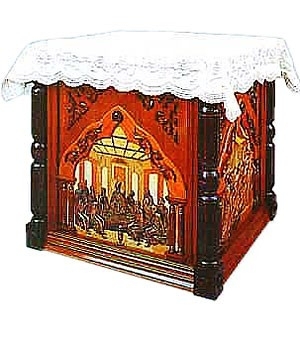 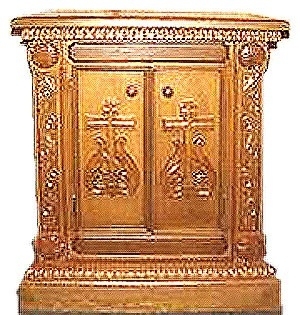 Istok Church Supplies offers excellent church furniture products: altars (holy tables), Bishop thrones, stasidias, litiya tables, lecterns and icon cases of various sizes. 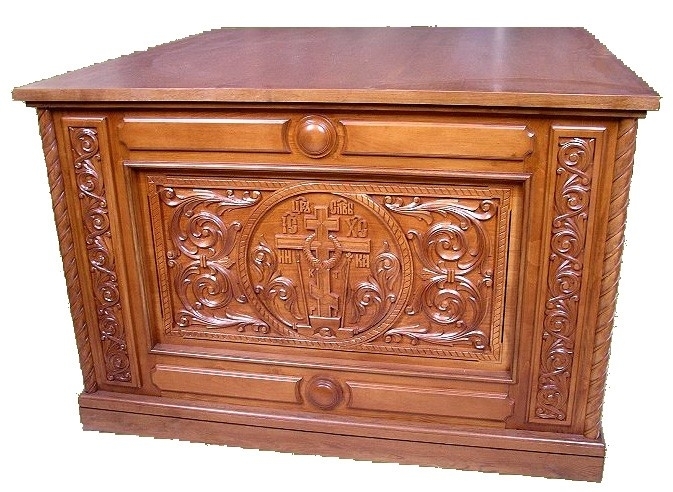 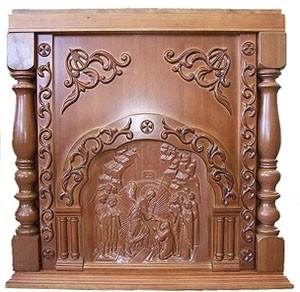 Our church furniture can be richly decorated with hand-carving and even hand-carved icons of your choice. 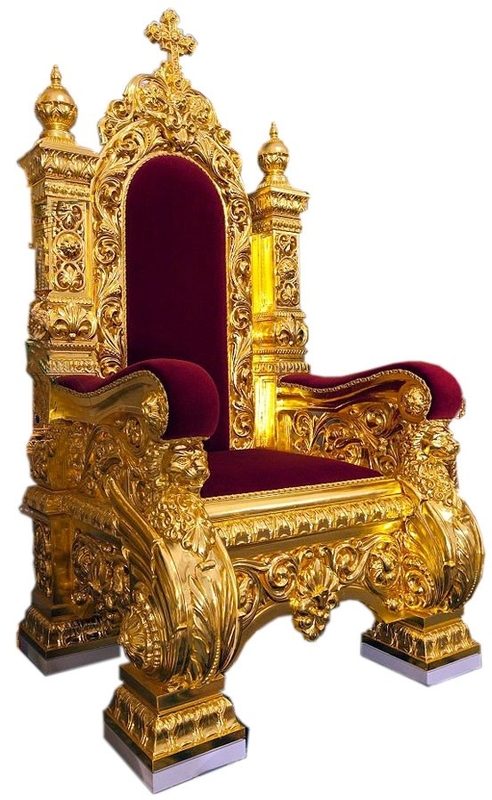 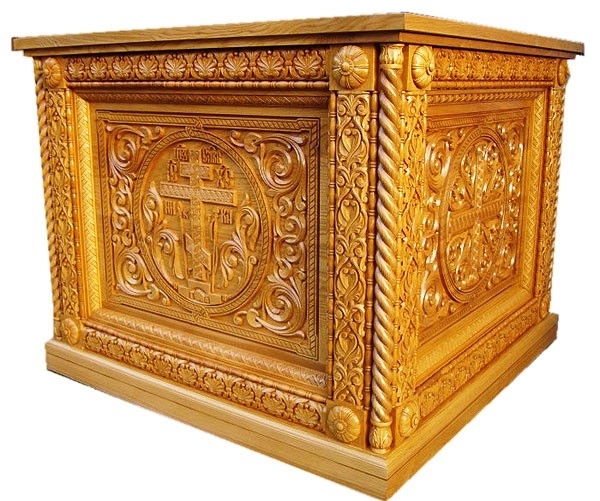 We welcome custom-orders and church furniture orders with custom-sizes.Find quality hand-crafted church furniture and furnishings at Istok Church Supplies! 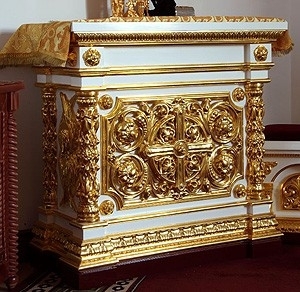 Church furniture is an important part of the ambience created within its walls. 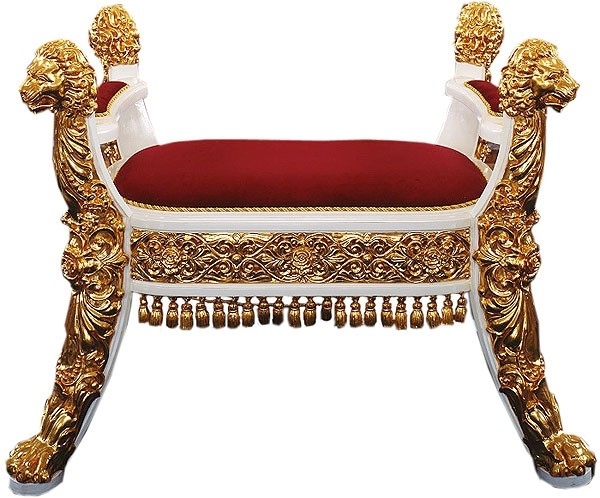 The sort of furnishings chosen can transform the interiors into a serious and somber affair while some others may make it relaxed and comfortable. 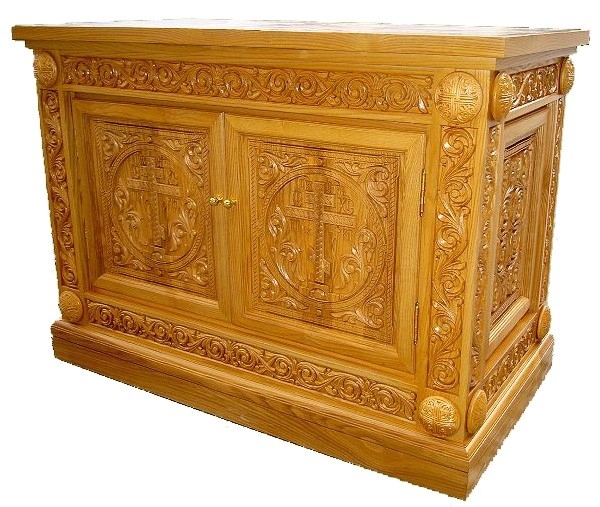 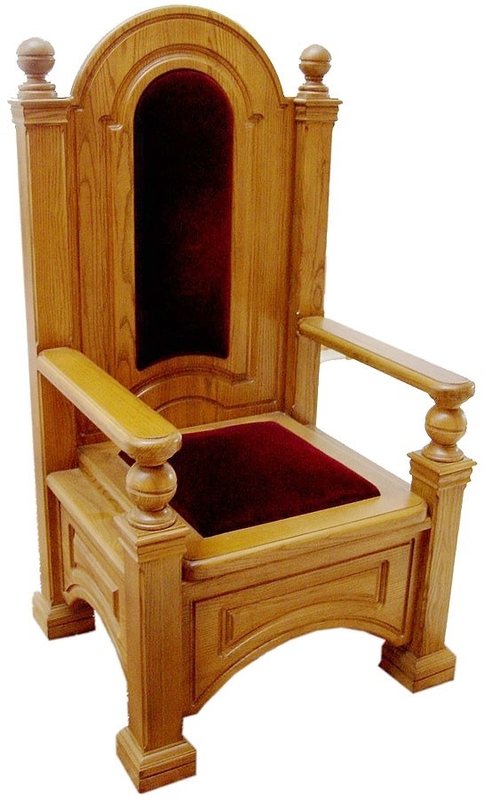 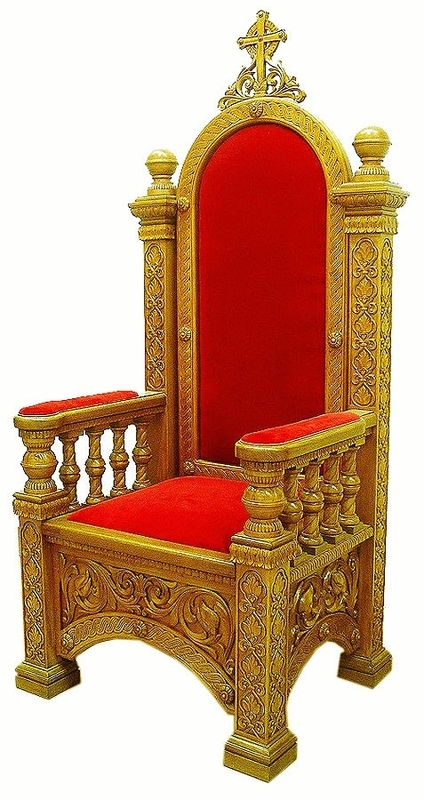 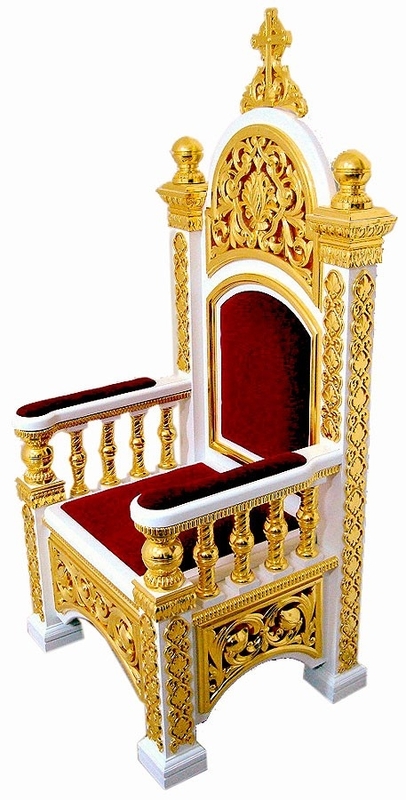 Depending on specific needs, here at Istok Church Supplies, patrons will find a wide variety of Orthodox Church furniture that celebrates the altar; a recipient of worship and prayers and turns it into the cynosure of all eyes. 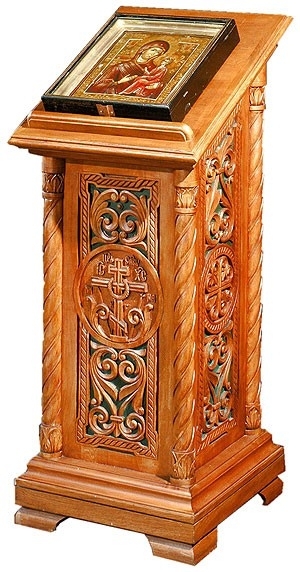 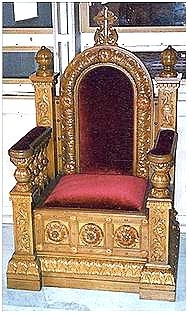 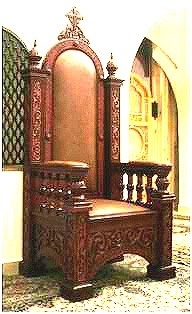 The Bishop’s Throne or even the Lectern that is chosen for the altar draws the focus of the parishioners. 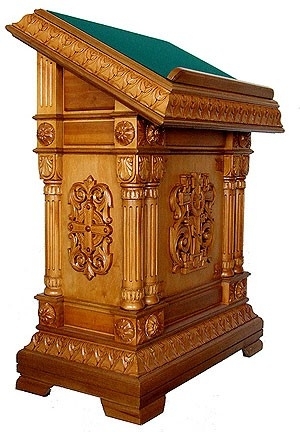 The whole congregation looks upon it during the sermons and with so many eyes on an object; it should promote the ideals of the church and what it stands for. 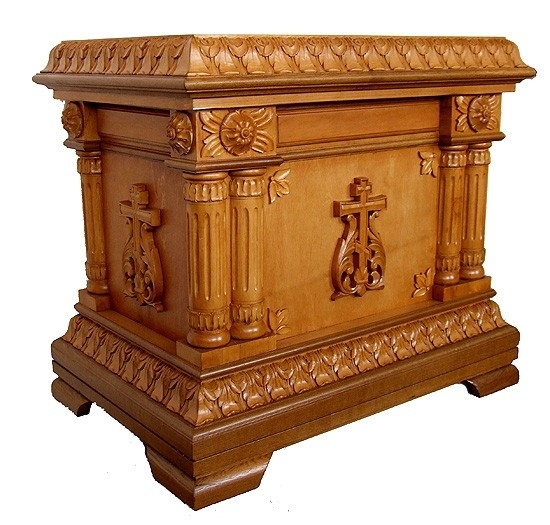 Here at Istok, the church furniture and accessories supplies are intricately designed affairs that are crafted to ensure they are able to convey the divinity and the passion of the Church and its Holy teachings. 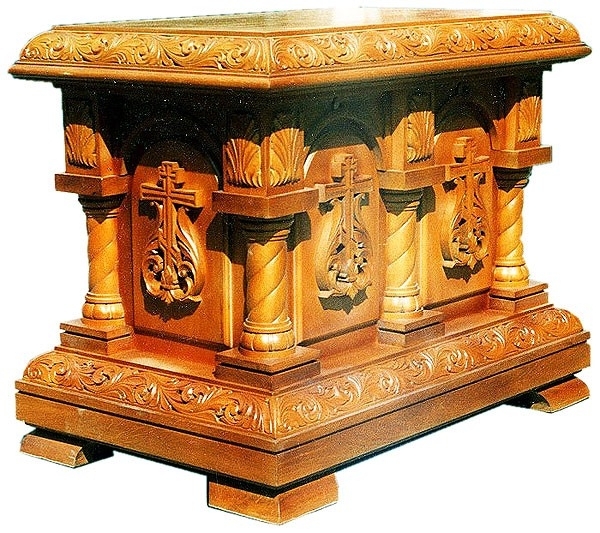 A well-crafted Holy Table is the most often chosen after a stringent selection process which makes it important to find one that will best suit the needs of the Church and its congregation. 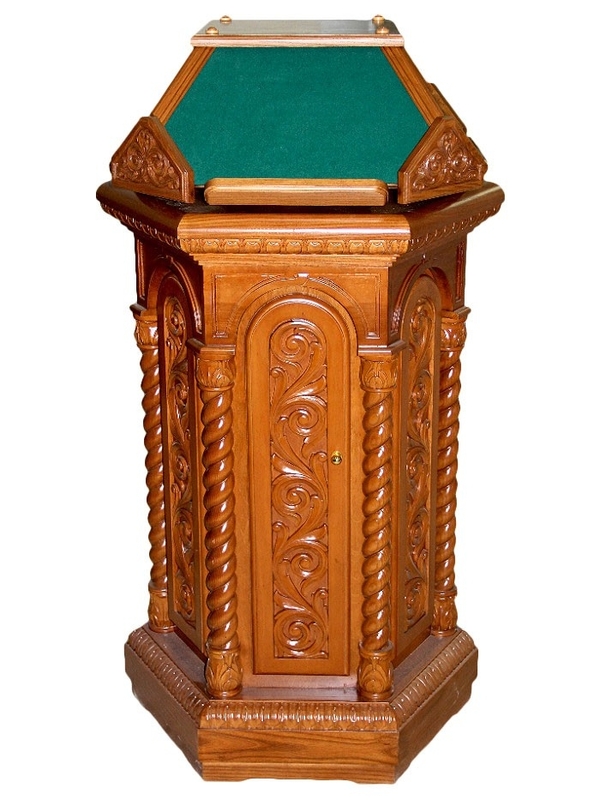 Here at Istok we celebrate uniqueness and understand that every church has its own vision and choice; which is why we take pride in offering customized versions of the Litya tables or standing icon cases. 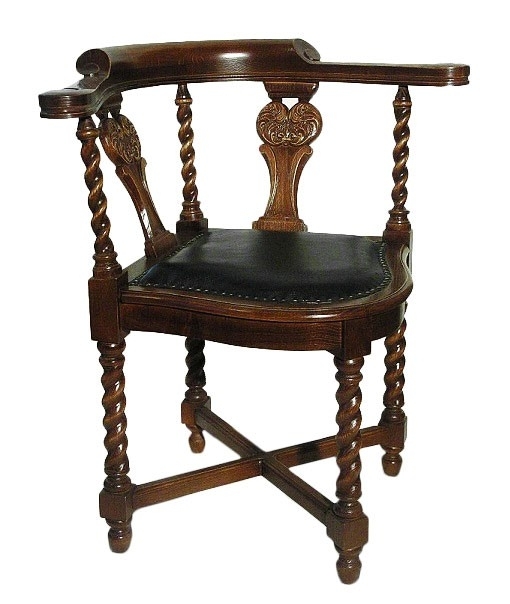 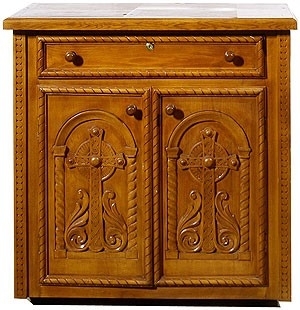 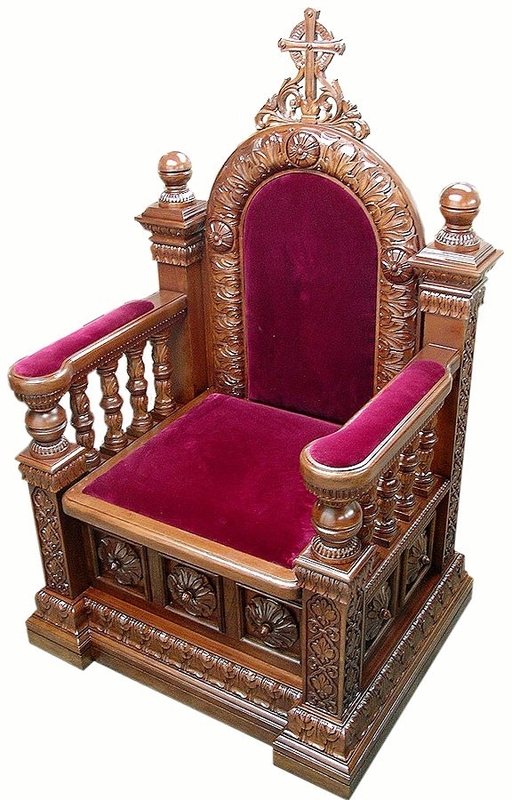 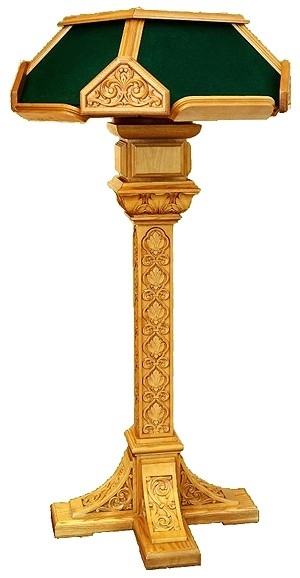 Even if you liked a particular item and would like to customize it for a smaller space or extend it lengthwise or widthwise for a specific location, Istok can effortlessly carry out such customizations so that these intricately carved solid oak monuments will fit into the space ordained for it.